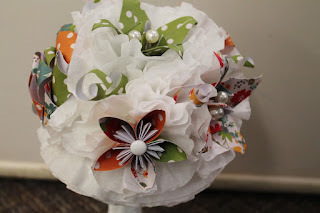 Paper is such a versatile medium. And it comes in such a variety of colors, patterns and weight. 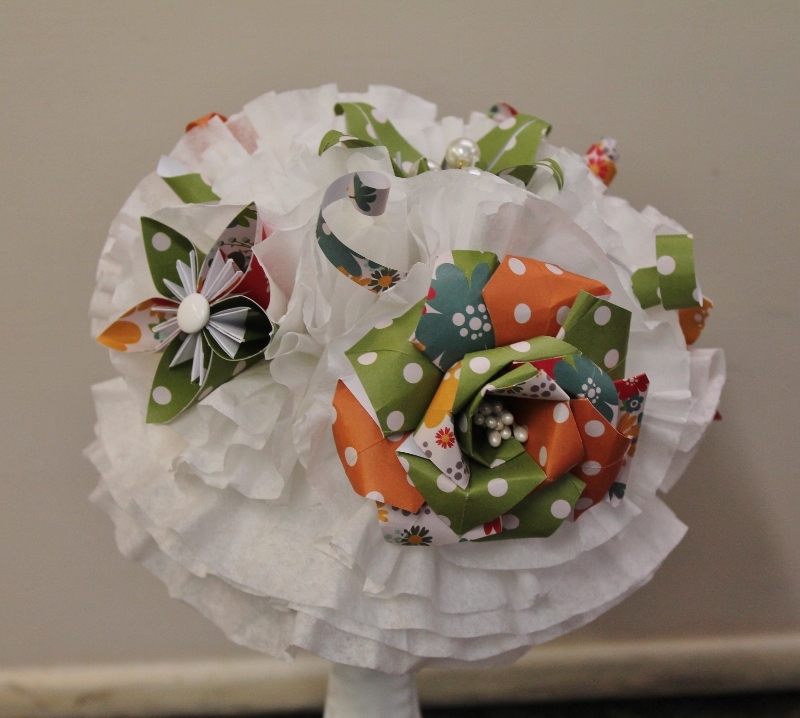 I've been working on a variety of flowers so thought it was high time to post again as too much time has passed! On the plus side, I'm keeping busy, lol! 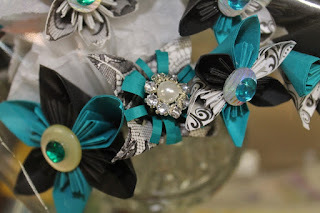 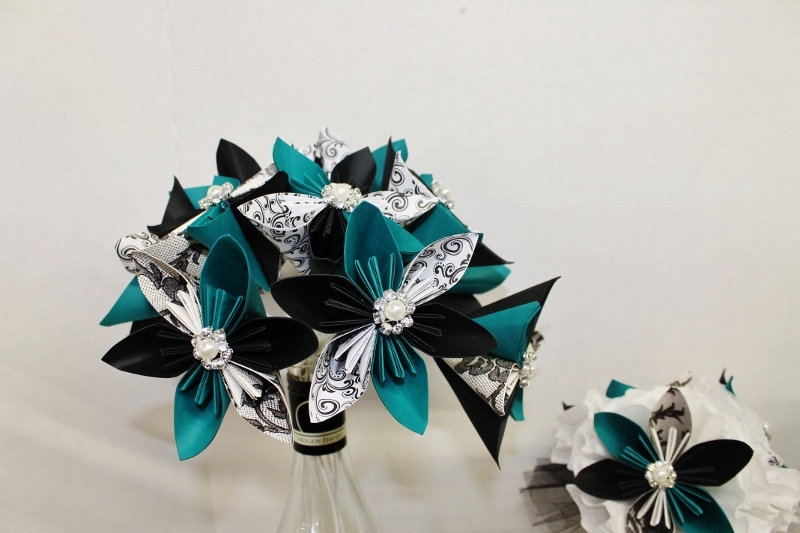 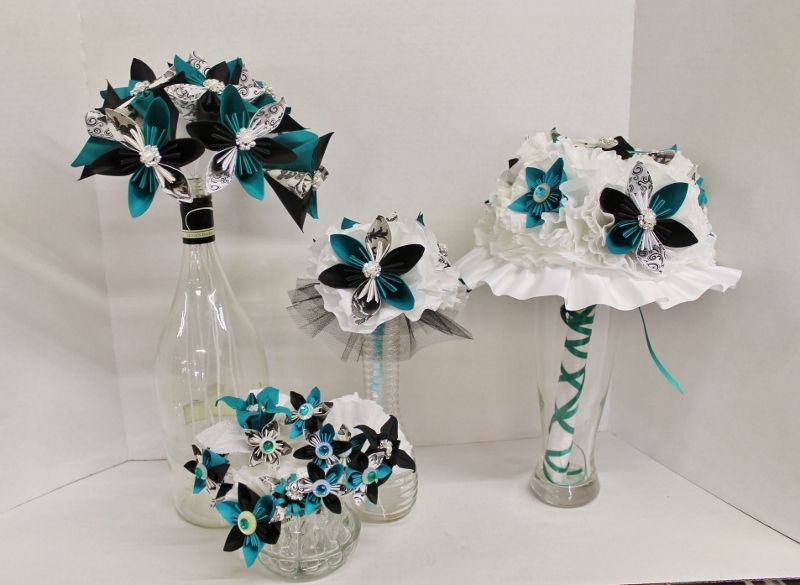 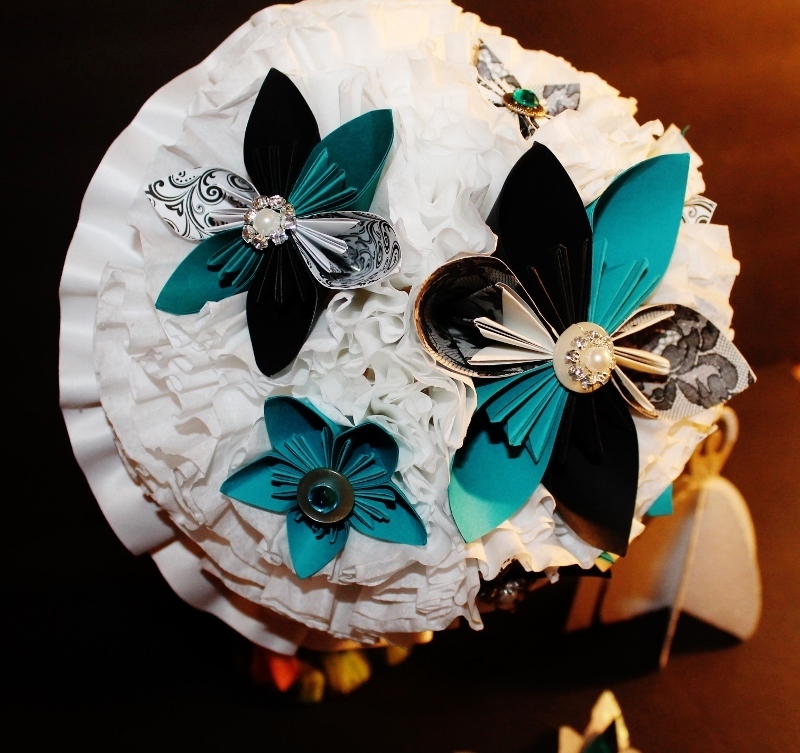 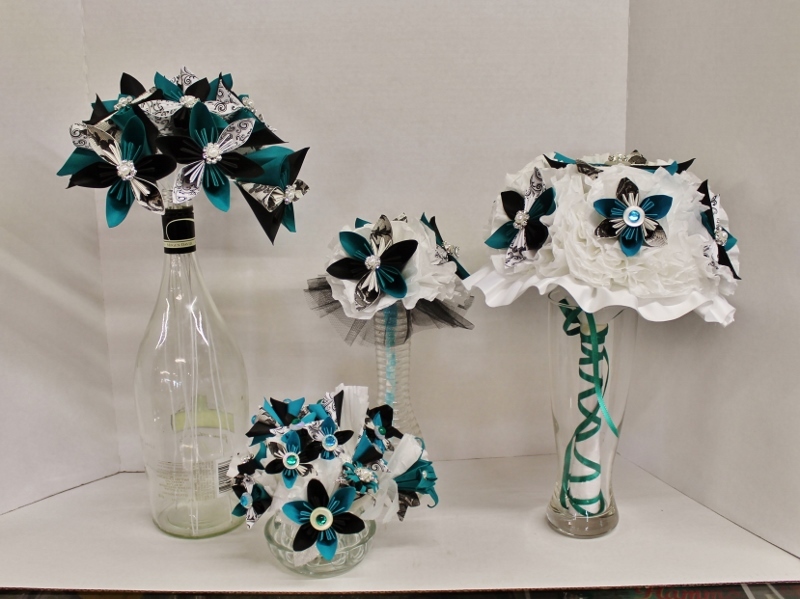 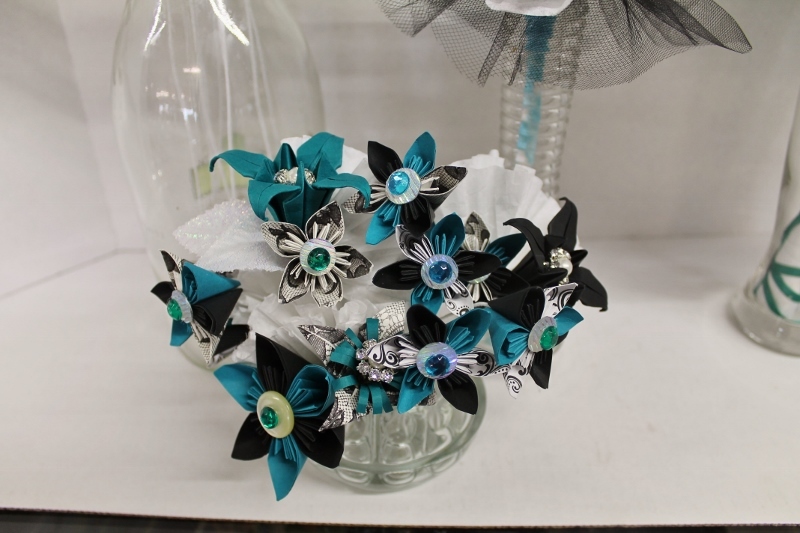 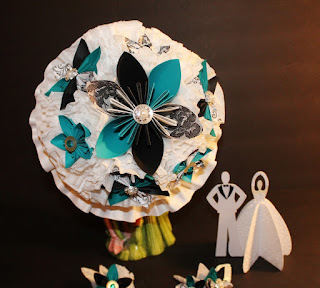 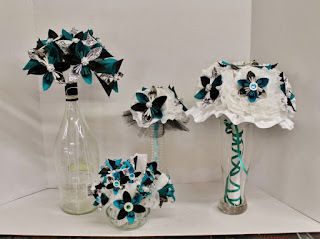 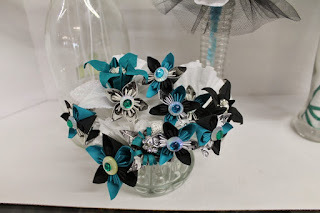 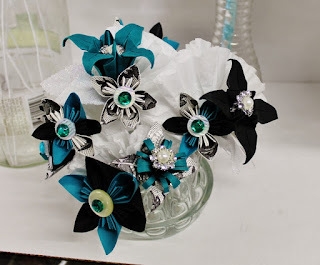 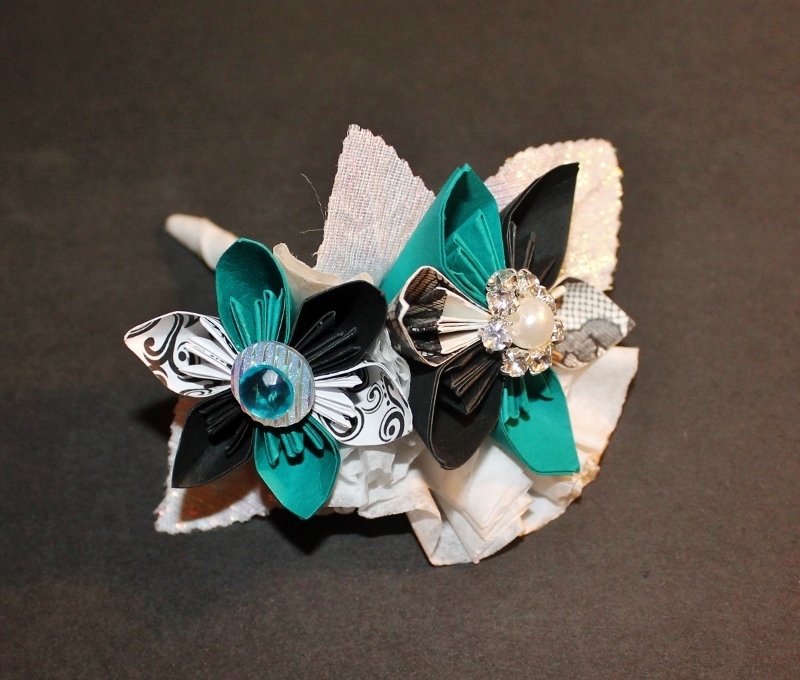 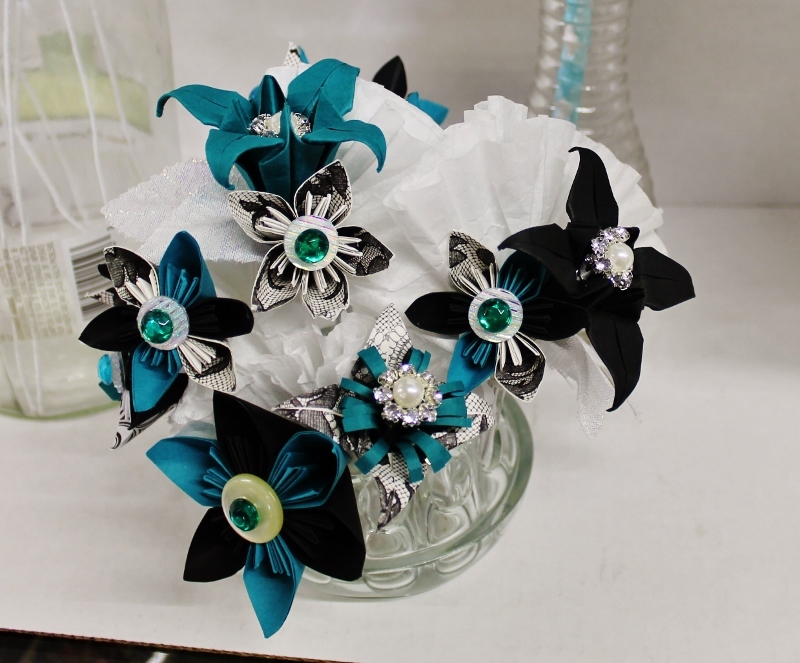 These striking color combo of black, white and teal are for a wedding. 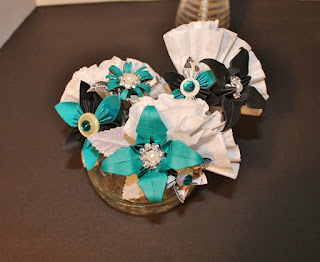 Will be anxious to finish them and post the completed order! 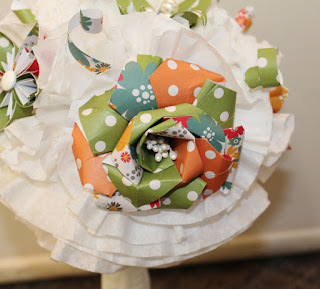 Mainly kusudama flowers, I did toss a couple lilies in, too! 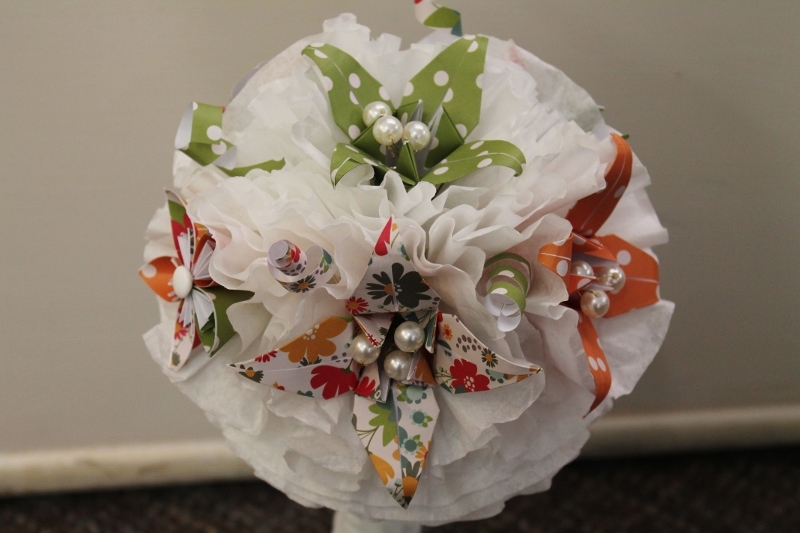 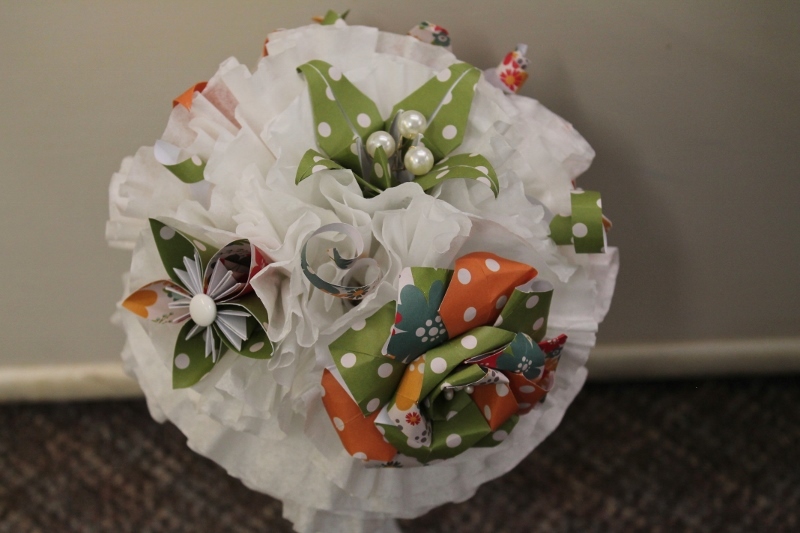 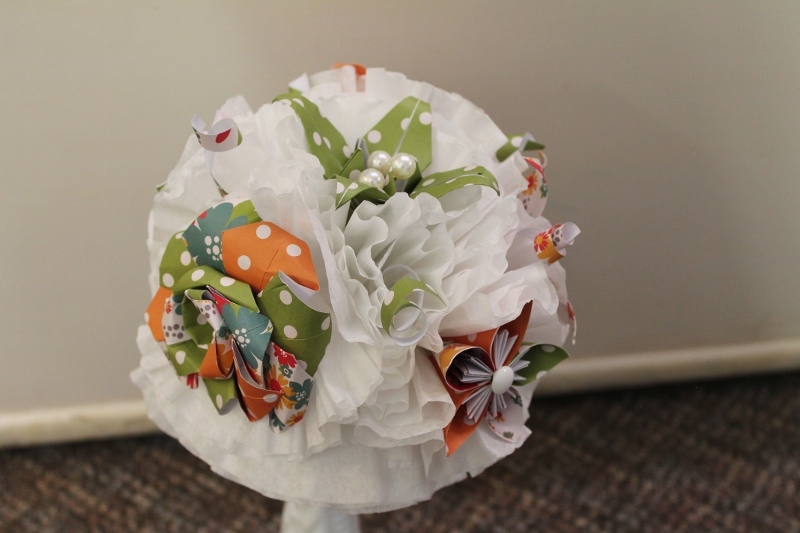 This grouping has a rose, origami lilies and kusudama flowers. The white is coffee filters!